This is the happiest day of your life! 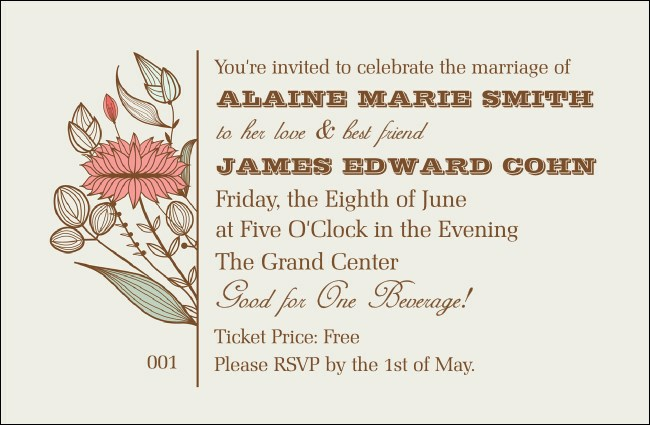 Pop the cork and keep the drinks flowing when you print Wedding Flower Drink Tickets to give to each of your guests on the big day. In addition to a beautiful, modern floral design, these pretty pastel tickets are individually numbered to make organization a cinch. Find the right ticket for your special day at TicketPrinting.com.